Many real estate investors do not understand the specific requirements that must be met to secure the benefits of a tax-deferred 1031 exchange. For example, the replacement property must be identified within 45 days of the closing date of the relinquished property. To complete a smooth and successful exchange, consider these four points before moving forward. Sign Exchange Documents Before You Close: The documents must be signed on or before the date you close the sale of your relinquished property. Once the relinquished property is conveyed to the buyer, it is too late to set up an exchange. Know Who Will Acquire the Replacement Property: The same taxpayer who sells the relinquished property must buy the replacement property. Don’t Let Expenses Trip Up the Exchange: Some expenses can be paid with the exchange proceeds, while others could result in your exchange being partially taxable. Security Must be a Priority: During an exchange, funds are held by the intermediary until you use them to acquire the replacement property. Confirm the intermediary in your exchange is financially strong and reputable, and will hold your exchange funds in a separate FDIC-insured bank account (not invested in securities) identified by the name and tax ID number of the investor. These points should be discussed with your intermediary and your tax advisor. Nothing contained in this article is to be considered as the rendering of legal advice for specific cases, and readers are responsible for obtaining such advice from their own legal counsel. This article is intended for educational and informational purposes only. The views and opinions expressed in this article are solely those of this author, and do not necessarily reflect the views, opinions, or policies of this author’s employer, First American Exchange Company, LLC. 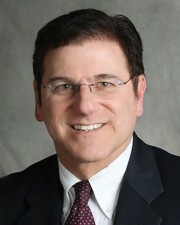 Bill Lopriore is the northeast regional manager and counsel for First American Exchange Company, LLC, Wayland, Mass.